Picture to Painting Converter 1.0 was available as a giveaway on September 27, 2018! How would you improve Picture to Painting Converter 1.0? Great program. Happy I downloaded it! Terrible, kept crashing and when it did work took ages to produce laughable results. This is an OK freebie. Many of the comments seem to be from people who haven't made the effort to figure out how it works (hint. The square box in the middle of your photo is a preview of haw the entire picture will look when converted). It's a little slow, but there's a lot of math to process FFS, and the longest it's t two minutes to process a 20 megapixel file. This is an OK freebie. Many of the comments seem to be from people who haven't made the effort to figure out how it works (hint. The square box in the middle of your photo is a preview of haw the entire picture will look when converted). It's a little slow, but there's a lot of math to process FFS, and the longest it's t two minutes to process a 20 megapixel file. The programs that have a pop up window to “get registration key”never works. You click it and then nothing. Randall, This program has the registration key right up front during the install! Arthur ASCII, which does not work. That’s what I am saying. It would be cool to have an 8bf file to use the program like a plugin/filter in PSP etc. each had a <> where you could drag to see more or less of the original photo and conversion. Where you had a face of girl with skates, now have just a dark blob where eyes were and nose and mouth twisted. Also lost the face on girl with horse example. Boat on shore in trees, has way too many swirls. Could have been okay in water but colors overall were so different than original. Am artist so normally get and try all these types of programs. It uses 3.5 times more memory on my machine than my Photoshop Elements 14 does. It uses 3.5 times more memory on my machine than my Photoshop Elements 14 does. That's rather baffling. I almost never comment on these programs but then I download very, very few. This is a perfect example of a totally unintuitive and unresponsive piece of software. I almost never comment on these programs but then I download very, very few. This is a perfect example of a totally unintuitive and unresponsive piece of software. Uninstalled! An addition: The used image was a JPG with 4000x3000 pixel size. It was taken in portrait mode but was loaded into the program in landscape mode (for whatever reason). This is also no nice behavior but I could have lived with it, the super-slow processing is a no-go, though. Looks like it only works on square graphics. That is a handicap. Would like to see it do the whole graphic/photo regardless of shape, such as oblong in width or height. The effects are awesome. Very cool. Looks like it only works on square graphics. That is a handicap. Would like to see it do the whole graphic/photo regardless of shape, such as oblong in width or height. The effects are awesome. Very cool. Hooty: though I've no wish to be the Help file that this developer has failed to properly compile, no: this program can in fact handle images of different aspect ratios. Refer to my post about Tools/Crop. I agree with your comment though: on initial acquaintance, it certainly appears not to be able deal with anything but the rectangular. Hooty, Here I could work with a not-square picture. MikeR, Oh thank you. I hunted around and cropped one to kind of, to the original shape and it then allowed the effect to cover the whole oblong graphic. Not sure how that worked differently but yes, and thanks for your input. Very much appreciated MikeR . MikeR, your "Post about Tools/Crop" where, exactly? Can you provide a link to it here, please? Thank you. Hooty, The box you are playing around with is simply a "preview" area (read the help file). The rendering process with convert the entire photo no matter what shape it is! Hooty, That is not true. You are looking at the preview area!!! Installed and did got the key easy. There were more offers from this developer, so the mail-adress was already know. The screen look like some other program from this developer. 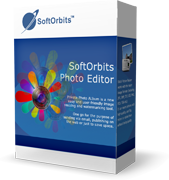 Picture to Painting Converter 1.0 appears to be a newly launched program from SoftOrbits, the Smolensk, Russia, software developer now in its 12th year of business. The software, however, incorporates a Help file dated 2013, so if Picture to Painting Converter has finally come to market after five years as work-in-progress, a review is timely. Installation / activation: License key acquisition involves a time-consuming number of stages. They eventually culminate in the compulsory opening of a SoftOrbits account for which the user's name, gender, email address and country of residence are required. GUI: at program launch, the user is invited to load an image for processing. The GUI then opens. It is uncluttered and resizable. Six option menus feature on the screen-top toolbar with five command options beneath. A Toolbox panel appears at right. It incorporates four options for style selection, default presets, brush shape, and stroke light options, and 10 slider-adjustable controls for processing management. The selected image can be zoomed in / out. Ease of Use: Users initially confronted by the image overlay of a rectangular crop field must wonder why it's there. The overlay is actually a permanency. It doubles as both a crop selector and content preview screen. Before doing anything else then, the user should go to Tools / Crop and then chose an option. Maintain original aspect ratio is probably the wisest choice to begin with. Help: how good a software product might be is most often reflected in how good its Help file might be. Developers who care about their product care about their users. Unfortunately, SoftOrbits' approach appears to be one of sublime indifference. No step-by-step walk-through. No video tutorial support. The HTML file is less an explanation of how to use the available tools and the resultant outcomes as a simple recital of the tool names. As what appears to be a Crop Rectangle is the most evident feature to greet a new user, it might be thought that it would be listed in the Help index under 'C'. But instead, 'C' points only (and ironically) to Customer Support. Functionality: absent meaningful Help, individual evaluation of the program's various components seemed necessary. But the intention was frustrated from the get-go because though the slider controls are fundamental to this software's operation, not one of them is calibrated. Instead of being able to determine a range of percentage settings and save them in-app or memorise for the future, the user is left to blunder along with nothing more sophisticated than a-bit-to-the-left-no-maybe-a-bit-to-the-right-oh-whoa-hang-on-needs-some-more-to-the-left. Performance, test 1: A high-quality 57Mb 5472 x 3648 TIF image file. The default crop was changed to maintain original aspect ratio. The change did not complete automatically and it proved necessary to spend time, adjusting the handles to achieve accuracy. The 'Crop' button was then pressed to complete this stage. The 'Next' command at top right looked as though it would usher in the next stage but merely invited the user to 'save changes' otherwise all unsaved changes would be lost. As a change had indeed occurred to the default crop, 'save' was clicked, at which point all processing was abandoned and the program simply opened a different image in the same folder. The program was closed and re-launched. As before, clicking 'crop' after manual readjustment saw the overlay vanish, this presumably a signal to move to the 'Painting'command. Confusingly, when this was actioned, the crop screen returned, but in unannounced preview guise. Though 5 minutes 35 seconds were then expended, waiting for it to show what the small selected image area would look like post-effect, no such preview occurred. Accordingly, the program was run without that. As the progress bar is mislocated on the bottom of the GUI, it initially seemed as if nothing was happening. However, when the bar did become apparent, it inched along from left to right for a total of 11 minutes 40 seconds, at which time it stopped and then finally vanished at 18 minutes 5 seconds. The image was not processed. NOTE: this large TIF was not intended to be typical of the kind of images I would expect a budget-priced product like Picture to Painting to easily handle. It was used for stress-test purposes only. Performance, test 2: The next image was a much more everyday 4Mb jpeg of similar dimension. The program 'cropped' (with manual adjustment) to the requested size and was then run without bothering to devote time to seeing if the preview function would work. Using the oil painting default, processing took 3 minutes 10 seconds. The result was a transformation of a sunlit UK National Park (Lake District)) landscape into a World War 1 battlefield at a very muddy dusk. It should however be appreciated, as the late James Thurber so eloquently did in regard to marrying a mermaid, that what is one man's mate is another man's poisson. What to one person may look pretty good ain't necessarily going to look like that to someone else. Whether it's SoftOrbits or any other developer, trying to please everyone with a default setting is an impossible task, so I have no criticism of its subjective choices. Performance, test 3: again, a small (4 MB) jpeg was used, this time to see how long it might take for the preview screen to do its job. Four tests were run. On the first two, the preview overlay actually worked -- though again, took several minutes to do so. On the second two, the program gave up, reporting in both instances: Error in fx brushify local. . . failed to allocate memory for image. Performance, test 4: this time, a 7MB jpeg landscape was used to test the slider effects. Absent any calibration, it proved impossible to fathom out what combination of what controls at what unknown percentage settings would achieve an acceptable outcome. The result was frequently either an unfocused watercolor when it should've been an oil painting, or an oil painting executed by Van Gogh when feeling especially suicidal. The same 7Mb jpeg was used. Lunapic online transformed the image to appealing effect in less than 5 minutes. FotoSketcher, a decidedly more comprehensive desktop program, took 8 minutes. Verdict: today's developer has a GOTD track record remarkable for the sheer volume of thumbs-up votes consistently awarded its products regardless of however critical the comment threads might be. In the past 12 months alone, SoftOrbits' products have frequently achieved 80% approval ratings with vote totals of anything up to 273 -- far, far beyond the level of approval attracted by other developers, including well-known names. That this phenomenon may leave some feeling a little. . .uncomfortable is in no way assuaged by SoftOrbits' current website claim to being an Intel Software Partner. I have some acquaintance with Intel, so have noted that nowhere within Intel's worldwide register of 2,630 approved businesses does SoftOrbits name appear. Assuming that some kind of mistake has occurred in Intel's record keeping, and also assuming the authenticity of all those positive votes this developer repeatedly attracts on GOTD, one might reasonably expect Picture to Painting Converter 1.0 to be representative of SoftOrbits' pedigree and prowess, and thus to be exceptional in all respects. Indeed it is. Exceptionally awful. Far from it living up to the developer claims on this page of being "easy and lightning fast" to use, capable of transforming n ordinary photo into a painting in a couple of clicks, today's Photo to Painting Converter showed itself on test to be inept, intuitive, unreliable, and very obviously, under-developed. Uninstalled -- though I will, of course, watch how the votes go today, if only to see how wrong I am. Evidence of such is mounting with noticeable speed: 15 hours still to go at this time of writing, and already SoftOrbits has 113 favorable votes, and 81% approval. <b>REVIEW:</b> Picture to Painting Converter 1.0 appears to be a newly launched program from SoftOrbits, the Smolensk, Russia, software developer now in its 12th year of business. The software, however, incorporates a Help file dated 2013, so if Picture to Painting Converter has finally come to market after five years as work-in-progress, a review is timely. <b>Installation / activation: </b> License key acquisition involves a time-consuming number of stages. They eventually culminate in the compulsory opening of a SoftOrbits account for which the user's name, gender, email address and country of residence are required. <b>GUI:</b> at program launch, the user is invited to load an image for processing. The GUI then opens. It is uncluttered and resizable. Six option menus feature on the screen-top toolbar with five command options beneath. A Toolbox panel appears at right. It incorporates four options for <i>style selection, default presets, brush shape,</i> and <i>stroke light options, </i>and 10 slider-adjustable controls for processing management. The selected image can be zoomed in / out. <b>Ease of Use: </b>Users initially confronted by the image overlay of a rectangular crop field must wonder why it's there. The overlay is actually a permanency. It doubles as both a crop selector and content preview screen. Before doing anything else then, the user should go to <i>Tools / Crop </i>and then chose an option. <i>Maintain original aspect ratio</i> is probably the wisest choice to begin with. <b>Help:</b> how good a software product might be is most often reflected in how good its Help file might be. Developers who care about their product care about their users. Unfortunately, SoftOrbits' approach appears to be one of sublime indifference. No step-by-step walk-through. No video tutorial support. The HTML file is less an explanation of how to use the available tools and the resultant outcomes as a simple recital of the tool names. As what appears to be a Crop Rectangle is the most evident feature to greet a new user, it might be thought that it would be listed in the Help index under 'C'. But instead, 'C' points only (and ironically) to <i>Customer Support.</i> <b>Functionality:</b> absent meaningful Help, individual evaluation of the program's various components seemed necessary. But the intention was frustrated from the get-go because though the slider controls are fundamental to this software's operation, not one of them is calibrated. Instead of being able to determine a range of percentage settings and save them in-app or memorise for the future, the user is left to blunder along with nothing more sophisticated than <i>a-bit-to-the-left-no-maybe-a-bit-to-the-right-oh-whoa-hang-on-needs-some-more-to-the-left.</i> <b>Performance, test 1: </b>A high-quality 57Mb 5472 x 3648 TIF image file. The default crop was changed to maintain original aspect ratio. The change did not complete automatically and it proved necessary to spend time, adjusting the handles to achieve accuracy. The 'Crop' button was then pressed to complete this stage. The 'Next' command at top right looked as though it would usher in the next stage but merely invited the user to <i>'save changes' </i>otherwise all unsaved changes would be lost. As a change had indeed occurred to the default crop, 'save' was clicked, at which point all processing was abandoned and the program simply opened a different image in the same folder. The program was closed and re-launched. As before, clicking 'crop' after manual readjustment saw the overlay vanish, this presumably a signal to move to the <i>'Painting'</i>command. Confusingly, when this was actioned, the crop screen returned, but in unannounced preview guise. Though <b>5 minutes 35 seconds</b> were then expended, waiting for it to show what the small selected image area would look like post-effect, no such preview occurred. Accordingly, the program was run without that. As the progress bar is mislocated on the bottom of the GUI, it initially seemed as if nothing was happening. However, when the bar did become apparent, it inched along from left to right for a total of <b>11 minutes 40 seconds,</b> at which time it stopped and then finally vanished at <b>18 minutes 5 seconds.</b> The image was not processed. <b>NOTE: this large TIF was <i>not</i> intended to be typical of the kind of images I would expect a budget-priced product like <i>Picture to Painting</i> to easily handle. It was used for stress-test purposes only.</b> <b>Performance, test 2: </b> The next image was a much more everyday 4Mb jpeg of similar dimension. The program 'cropped' (with manual adjustment) to the requested size and was then run without bothering to devote time to seeing if the preview function would work. Using the <i>oil painting default,</i> processing took <b>3 minutes 10 seconds.</b> The result was a transformation of a sunlit UK National Park (Lake District)) landscape into a World War 1 battlefield at a very muddy dusk. It should however be appreciated, as the late James Thurber so eloquently did in regard to marrying a mermaid, that what is one man's mate is another man's poisson. What to one person may look pretty good ain't necessarily going to look like that to someone else. Whether it's SoftOrbits or any other developer, trying to please everyone with a default setting is an impossible task, so I have no criticism of its subjective choices. <b>Performance, test 3: </b> again, a small (4 MB) jpeg was used, this time to see how long it might take for the preview screen to do its job. Four tests were run. On the first two, the preview overlay actually worked -- though again, took several minutes to do so. On the second two, the program gave up, reporting in both instances: <i>Error in fx brushify local. . . failed to allocate memory for image. </i> <b>Performance, test 4: </b> this time, a 7MB jpeg landscape was used to test the slider effects. Absent any calibration, it proved impossible to fathom out what combination of what controls at what unknown percentage settings would achieve an acceptable outcome. The result was frequently either an unfocused watercolor when it should've been an oil painting, or an oil painting executed by Van Gogh when feeling especially suicidal. <b>Comparators:</b> two were used for this test, the best of all online image editors: Lunapix: <i>https://www241.lunapic.com/editor</i> and David Thoiron's deservedly classic freeware program, Fotosketcher: <i>https://fotosketcher.com</i> The same 7Mb jpeg was used. Lunapic online transformed the image to appealing effect in less than 5 minutes. FotoSketcher, a decidedly more comprehensive desktop program, took 8 minutes. <b>Verdict: </b>today's developer has a GOTD track record remarkable for the sheer volume of thumbs-up votes consistently awarded its products regardless of however critical the comment threads might be. In the past 12 months alone, SoftOrbits' products have frequently achieved 80% approval ratings with vote totals of anything up to 273 -- far, far beyond the level of approval attracted by other developers, including well-known names. That this phenomenon may leave some feeling a little. . .uncomfortable is in no way assuaged by SoftOrbits' current website claim to being an Intel Software Partner. I have some acquaintance with Intel, so have noted that nowhere within Intel's worldwide register of 2,630 approved businesses does SoftOrbits name appear. Assuming that some kind of mistake has occurred in Intel's record keeping, and also assuming the authenticity of all those positive votes this developer repeatedly attracts on GOTD, one might reasonably expect <i>Picture to Painting Converter 1.0 </i>to be representative of SoftOrbits' pedigree and prowess, and thus to be exceptional in all respects. Indeed it is. Exceptionally awful. Far from it living up to the developer claims on this page of being <i> "easy and lightning fast" </i>to use, capable of transforming n ordinary photo into a painting in <i>a couple of clicks, </i> today's <i>Photo to Painting Converter</i> showed itself on test to be inept, intuitive, unreliable, and very obviously, under-developed. Uninstalled -- though I will, of course, watch how the votes go today, if only to see how wrong I am. Evidence of such is mounting with noticeable speed: 15 hours still to go at this time of writing, and already SoftOrbits has 113 favorable votes, and 81% approval. Installed without any problem. This is a very basic drawing-painting program. Not too many tools to work with. The best one is watercolor Abstract, all others are so-so. Also, it is very, very (very) slow! It takes forever to render a simple 1650 x 1080 pixels picture. I'm doing one while I write this, and it's still not rendered! It usually takes about 4-5 minutes to render a basic picture. I can't imagine a larger format! And I have a very fast computer i7, 4 cores, 16Gb RAM, etc. Check out Fotosketcher instead... more goodies, more drawing/ painting tools and tons of features... all for FREE! Well, after more than 7-8 minutes I have to stop it... Earlier tests were done in about 5 minutes. Fotosketcher does much better renderings in 40-50 seconds! I tried the product, the finished product looked terrible. In order to review any new graphics program, I would use a disc cleaner to remove temp files taking up space. Also choose a small image to test. I chose 900 x 600 and it worked fine. I have a number of image editors and the result was similar to some of these but it was still quite nice. I did run into one problem, the RUN arrow to process the image kept disappearing. I found out how to get it back with 'Show Status' in the menu. I would like to reply to all the negative comments. The program works and it is your choice if you want to keep it or not. I like it and will keep it. In order to review any new graphics program, I would use a disc cleaner to remove temp files taking up space. Also choose a small image to test. I chose 900 x 600 and it worked fine. I have a number of image editors and the result was similar to some of these but it was still quite nice. I did run into one problem, the RUN arrow to process the image kept disappearing. I found out how to get it back with 'Show Status' in the menu. I would like to reply to all the negative comments. The program works and it is your choice if you want to keep it or not. I like it and will keep it. Carole, I would suggest you also test a realistic image size and not just a facebook post sized image ... and from the sound of it you discovered a bug with the vanishing RUN arrow... so your statement "The program works" seems to be based upon the vaguest definition of working if you have to use tiny images and discover workarounds to keep the user interface operational. Maybe my expectations of software working is significantly higher than yours! Okay, I dragged a photo to the 'drag here' spot. How do I get a painting? What do I press? Dean, the Start button is at the bottom of the toolbox. You can enlarge the box if you don't see that button. Dean, I'm with you. After you enlarge th crop lines (very, very slow and difficult to do), then what? Nothing happens. Isn't there something to press? Installed and registered with relative ease .win 10. I tried single image 2200 x 2200 took a while but pleasing result. Was interested in batch file conversion,i hope to test such and report back. Installed and registered with relative ease .win 10. I tried single image 2200 x 2200 took a while but pleasing result. Was interested in batch file conversion,i hope to test such and report back. Tried batch conversion..it doesn't work.Also the prog defaults to selecting a very small area rather than automatically selecting the complete image...verdict total bobbins. I looked at the options and did not find a way to turn off auto updates. 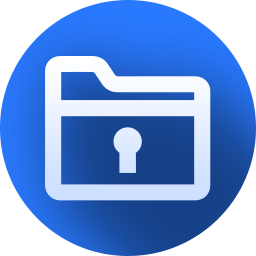 Many SoftOrbits offerings become unregistered over even short periods of time and I thought that maybe auto update was the reason... Any ideas are appreciated! It looks like an advanced version of the MS office word 2016 Artistic Effects button , it's very similar to this tool yet it's more advanced in it's technical artistic details . it's also more faster due to it's lower usage of CPU and Ram unlike MS office 2016 and it's ultra easy to use due to it's stand alone nature . As Most Programs here it says that No technical support and No free upgrades to Future versions and strictly for non commercial usage . It looks like an advanced version of the MS office word 2016 Artistic Effects button , it's very similar to this tool yet it's more advanced in it's technical artistic details . it's also more faster due to it's lower usage of CPU and Ram unlike MS office 2016 and it's ultra easy to use due to it's stand alone nature . As Most Programs here it says that No technical support and No free upgrades to Future versions and strictly for non commercial usage . Work nice on my 7SP1, but it did run into error mode (no crash) and I had to reload the image. I hate their model picture they put for settings preview. I think a nature image would be better. Work nice on my 7SP1, but it did run into error mode (no crash) and I had to reload the image. I hate their model picture they put for settings preview. I think a nature image would be better. Review system is pointless if they remove any dislike of the software. I find this software pointless myself not being rude about it but pretty much any photo editing software offers this feature yet this is a stand alone program. This is why I do not see a point in this software it is a basic feature of many programs yet this is the only purpose for this program and comes off as bloatware because of it. Like a calculator that is 4 different programs (one each for Plus, Minus, Multiple, and divide). Review system is pointless if they remove any dislike of the software. I find this software pointless myself not being rude about it but pretty much any photo editing software offers this feature yet this is a stand alone program. This is why I do not see a point in this software it is a basic feature of many programs yet this is the only purpose for this program and comes off as bloatware because of it. Like a calculator that is 4 different programs (one each for Plus, Minus, Multiple, and divide). "... but pretty much any photo editing software offers this feature... "
Actually it doesn't come built into Photoshop or PaintShop Pro or the GIMP. Google and you get lots of apps, but for phones rather than Windows software, which makes sense I guess, because most photos nowadays are taken with cell phones. I do think SoftOrbits *might* increase sales of their Picture to Painting Converter if they included a plug-in, e.g. like many Franzis apps, because that would better integrate with other editing tasks. Clinton, "<i>... but pretty much any photo editing software offers this feature... </i>" Actually it doesn't come built into Photoshop or PaintShop Pro or the GIMP. Google and you get lots of apps, but for phones rather than Windows software, which makes sense I guess, because most photos nowadays are taken with cell phones. 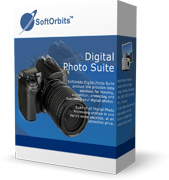 I do think SoftOrbits *might* increase sales of their Picture to Painting Converter if they included a plug-in, e.g. like many Franzis apps, because that would better integrate with other editing tasks. do you really know Photoshop CC latest version that well enough to be so emphatic? mike, do you really know Photoshop CC latest version that well enough to be so emphatic? Clinton, Every day there's a giveaway. If it's not your bag, wait until tomorrow - there might be something more to your liking.